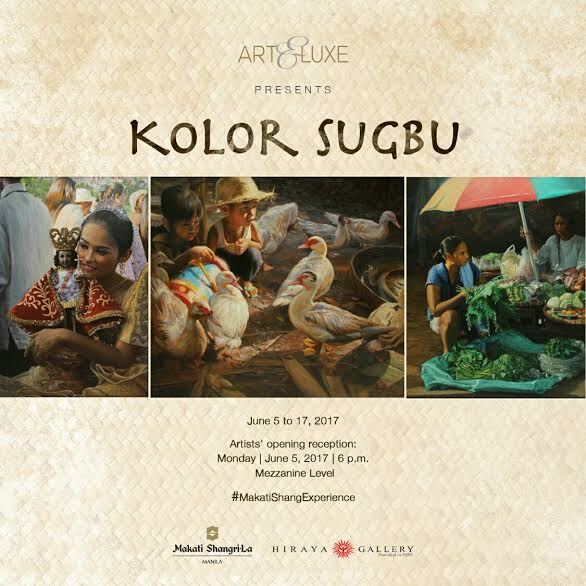 From the original local name of the island comes the inspired title of the show Kolor Sugbu. 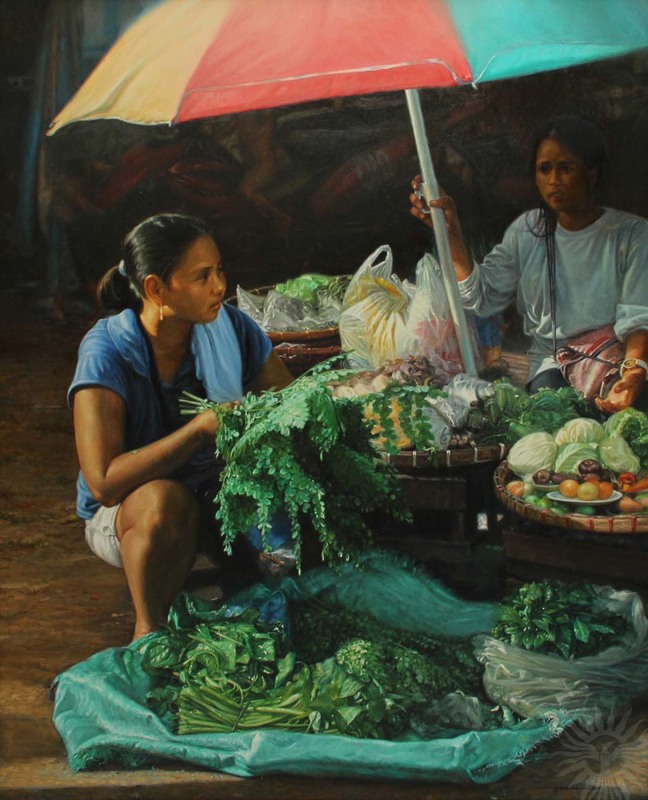 It is in effect an exhibition of the vaunted Cebuano artists’ superb mastery of technique but now inflected with a more contemporary temper, a more direct contact with the times, to be sure, but without ungratefully turning its back on its heritage, hewn from the teachings of the late Cebuano master Martino Abellana, himself mentored by National Artist Fernando Amorsolo at the then UP School of Fine Arts. 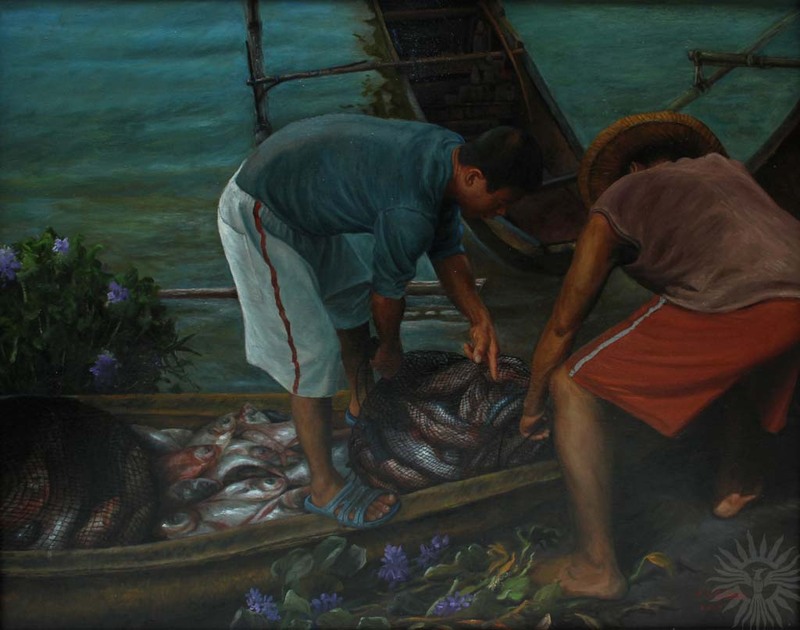 Participating Cebuano artists are: Boy Briones, Ariel Caratao, Ramon de Dios, Efren Enolva, Audie Estrellada, Carly Florido, Jonathan Galicano, Romulo Galicano, SYM, Clint Normandia, Dong Tallo, Mariano Vidal and Pepe Villadolid. 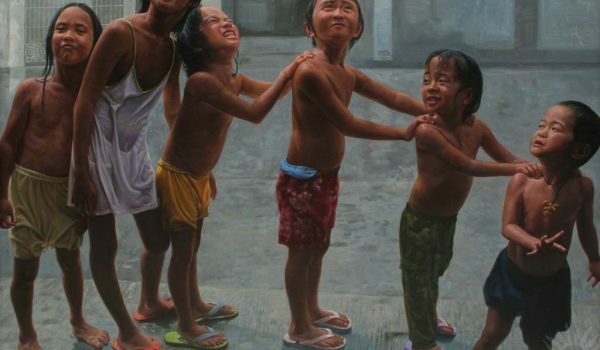 They are joined by Manila-based artists Romy Ballada, Cee Cadid and Nestor Villanueva. 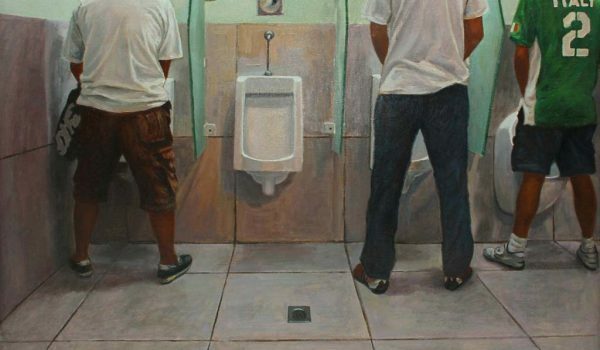 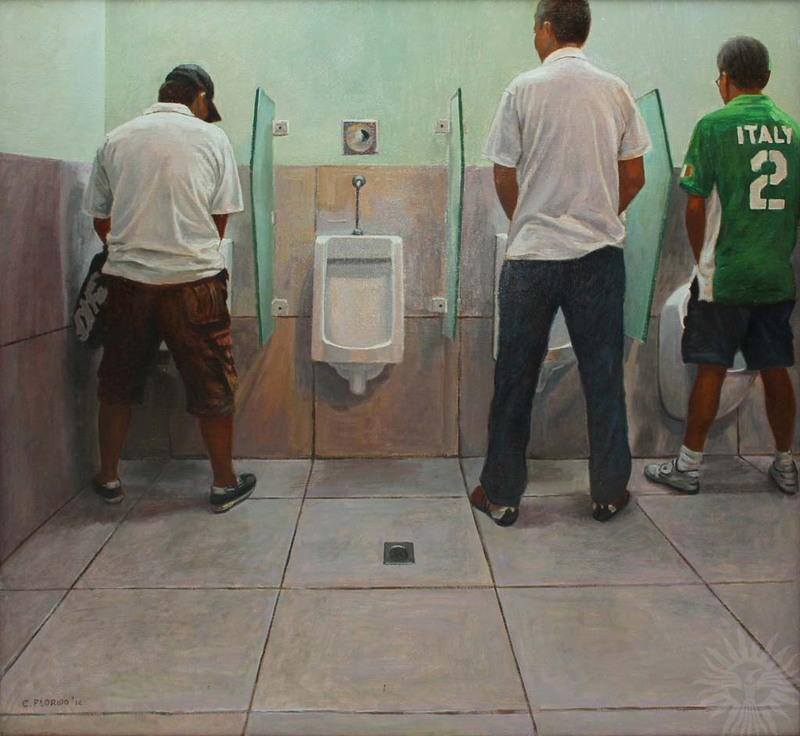 Training his eyes on ordinary sights, images seemingly unworthy of a second glance, Carly Florido, in his Mannequin, a quiet working day in a dress shop, and A Private Matter, a visit to a men’s room, draws us into unvarnished reality seen through the corner of the artist’s eye. 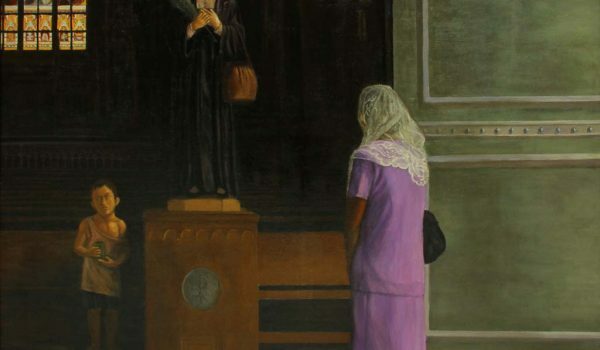 A visual comment on the evolution of art is Ramon de Dios’ At the Museum, where the once ignored and rejected outsider art is now given pride of place, side by side classical masterpieces. 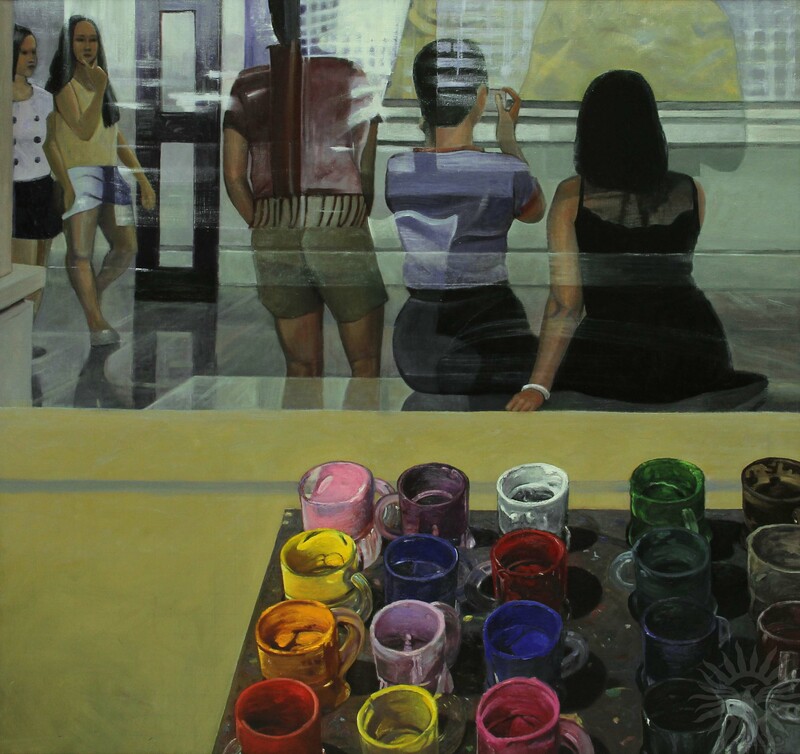 Boy Briones’s Ang Panata, is at first sight a melancholic genre painting but is, upon analytical scrutiny, a rigorous observance of abstract plastic qualities in the tradition of Mondrian and Van Doesburg. 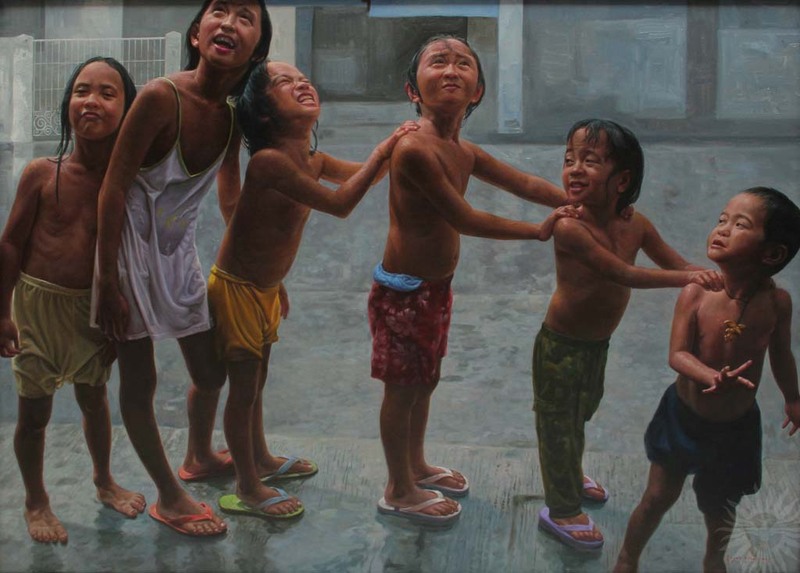 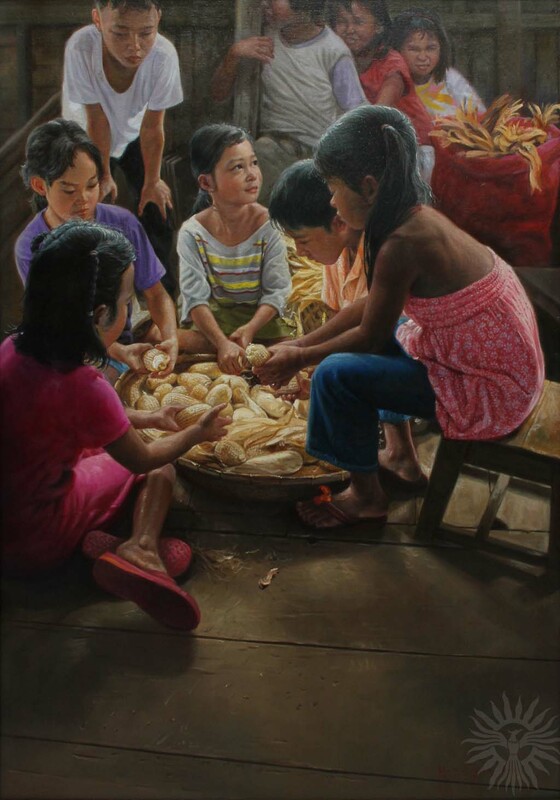 Pure, unsullied innocence, at work and at play, in moments of glee and delight, are Audie Estrellada’s depictions of children in After the Rain and Cornhusking, affirmed by his superlative handling of light and surface. 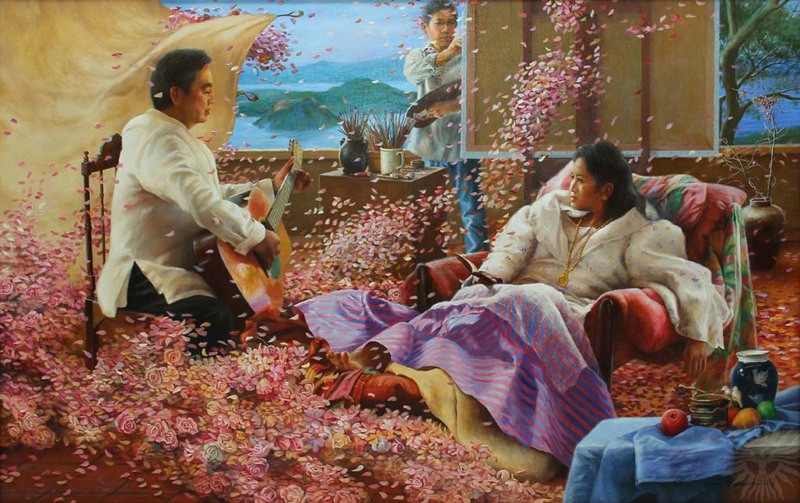 A day’s labor as a classic subject matter of conservative art is celebrated in Dong Tallo’s Morning Catch, Mariano Vidal’s Harvest, and Efren Enolva’s Panginabuhian (Hanapbuhay). 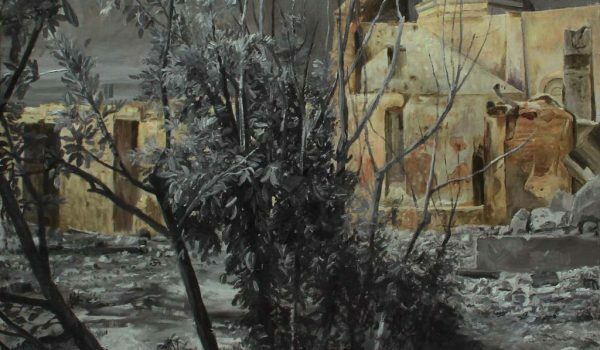 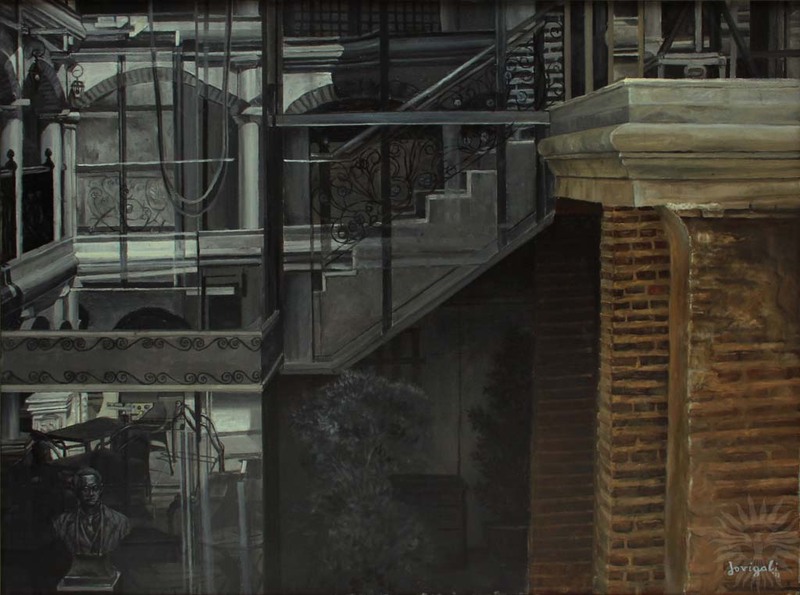 Steeped in the customary subject, Tallo, Vidal, and Enolva views these familiar scenes always as a re-discovery, a freshening in every canvas, investing their works with the intensity of a lifetime’s looking. 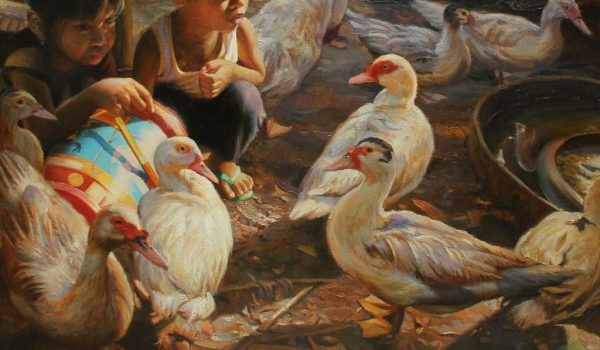 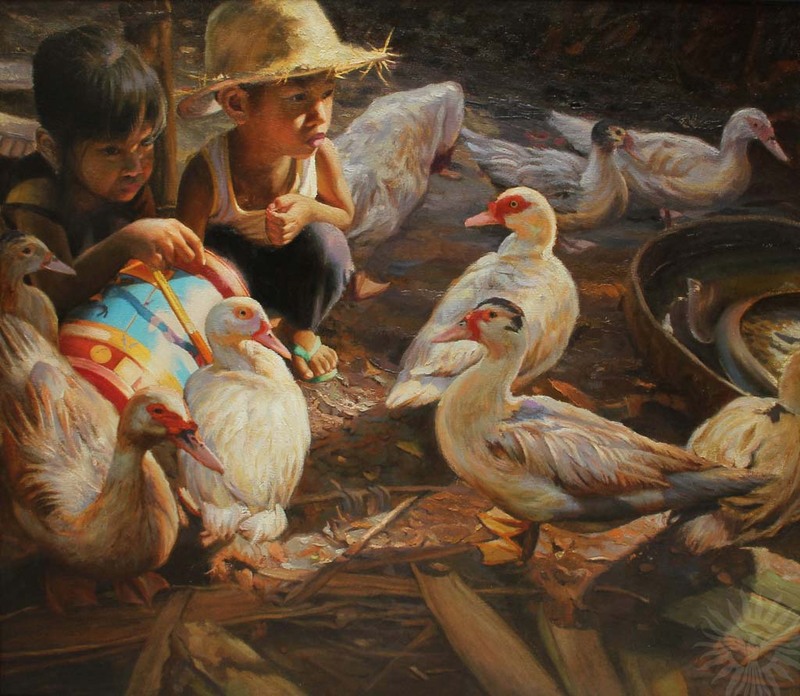 Feeding Time by Ariel Caratao is a brisk, bristling radiance of light on the feathers of hungrily gawking geese, and the two young innocents agape at the wonder of these fowls. 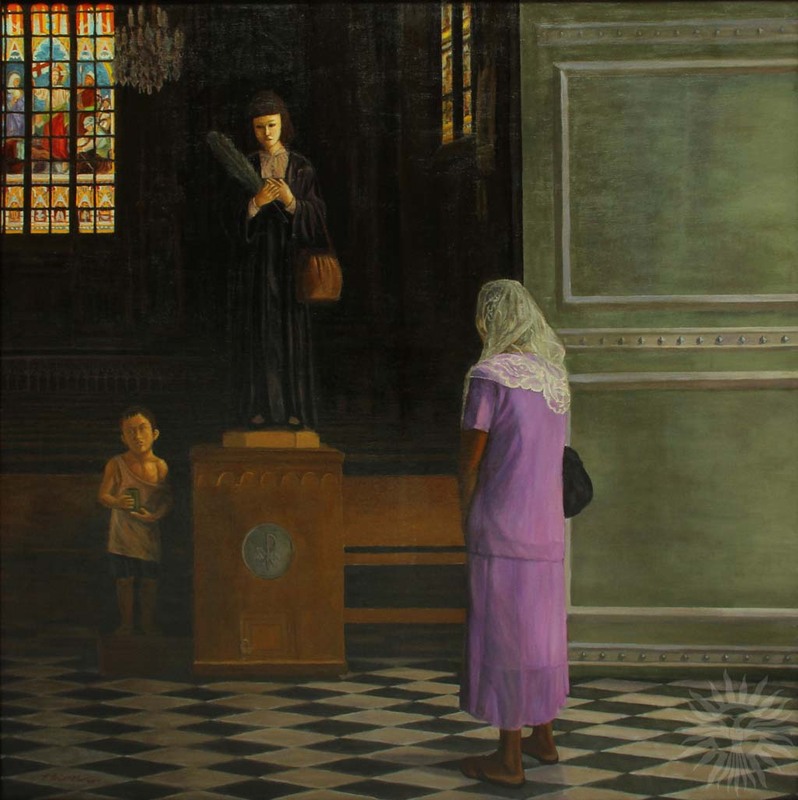 Clint Normandia’s Sinulog Dancer catches his charming subject, in a moment of rest from the hectic festivities, tenderly embracing the iconic Santo Nino, who has dominion over the Queen City of the South. 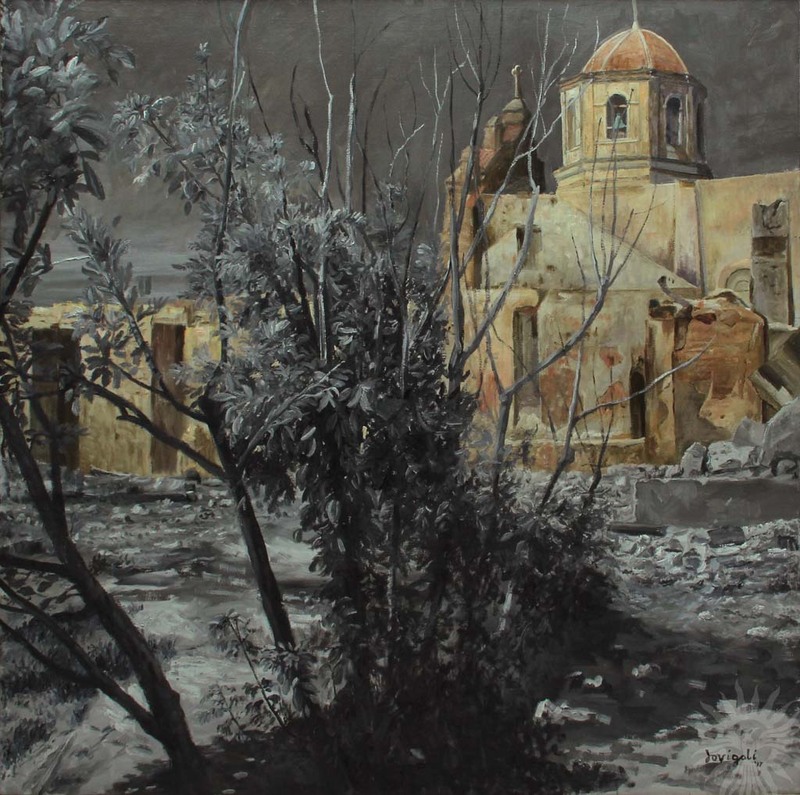 Cebu, a Southern island blest with beauty and historicity, proffers her landscapes and ancient structures as the richest source of imagery for her many artists, as evidenced by Pepe Villadolid’s brooding and deserted San Remigio Cove and Jonathan Galicano’s grayishly ruined Old Oslob Church. 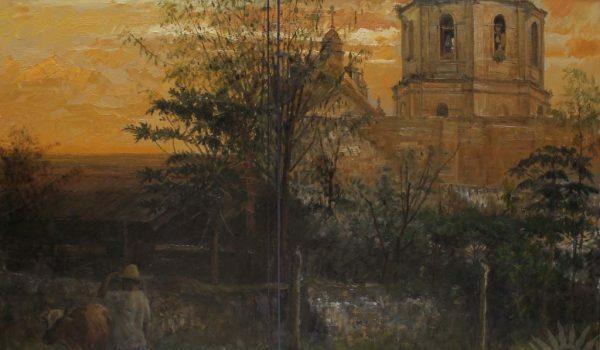 As though paying homage to the North, the young Galicano captures Morning@Hotel Luna, itself a proud showcase in Ilocos Sur of Filipino masterworks. 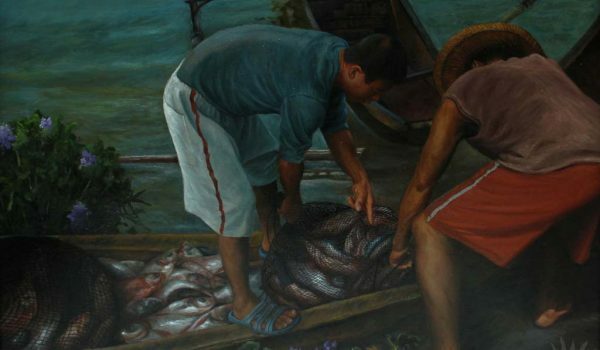 Through the decades, acknowledged masters SYM Mendoza and Romulo Galicano have inspired younger generations of Cebuano artists. 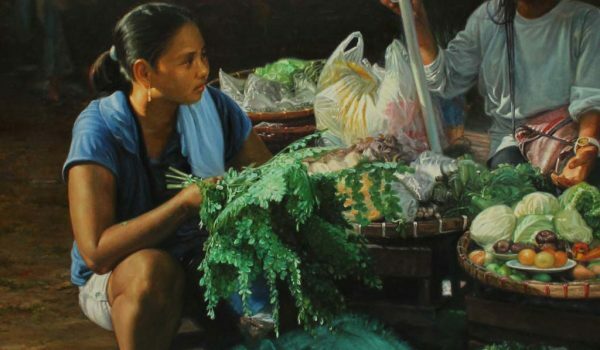 SYM’s elegantly fragmented still life of native fruits and vegetables, exuberant but disciplined, is a rearing up of that great art movement, Cubism. 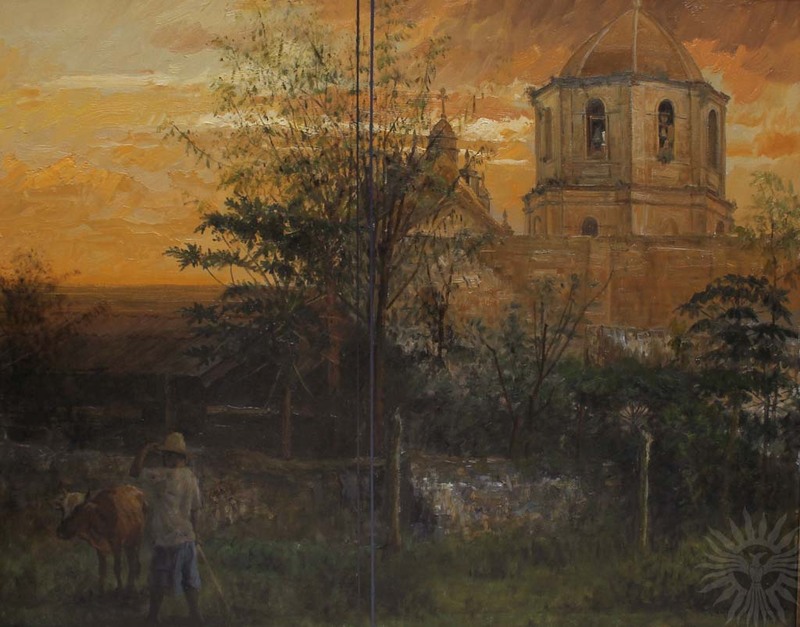 Galicano père takes up his son’s same subject, the old Oslob Church, once razed to the ground, but whose ashened ruins now rise gloriously in Galicano’s magisterial touch. 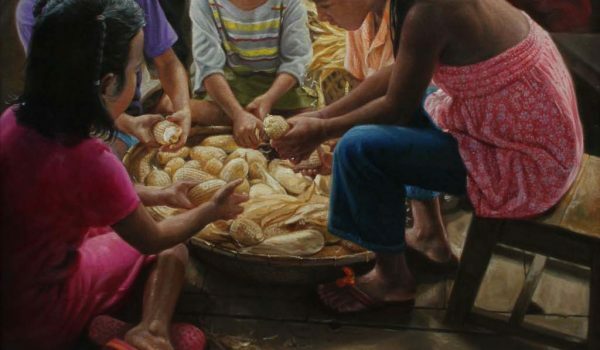 As a gesture of solidarity with Manila artists, the Cebuano group has invited the metropolis-based Cee Cadid, Romy Ballada and Nestor Villanueva. Cadid’s Samo’t Sari is a hyper-realist still life of contrasting and glistening textures, while Ballada’s Serenade is a theatrical shower of voluminous petals raining down on two mature and dignified sweethearts. 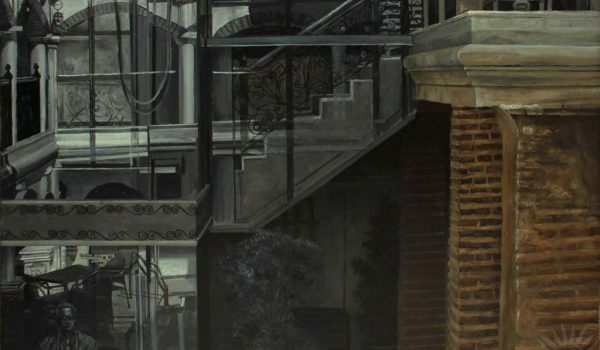 Subsumed within the only outright abstract work in the show, Nestor Villanueva’s Syntactical Forms, are the sinuous lines suggestive of a womanly silhouette. 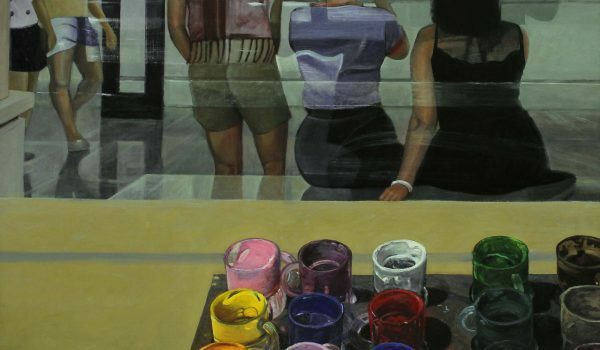 Kolor Sugbu is a visual declaration that, in Cebuano art, there are many more shades of colors, more hues of happiness, than meets our jaded eyes, certainly a relief from the grim, despairing images from a Manila-centric art.